Shangri-La Barr Al Jissah Resort & Spa, Sultanate of Oman promises an enchanting winter wonderland this festive season. The festive season will kick off with the annual tree-lighting ceremony in the Sablah outdoor courtyard area of Al Bandar hotel on Thursday, 13 December 2018, to coincide with the launch of the Festive Market, which will run from that same day to Saturday, 29 December 2018. Combined with Shangri-La’s signature hospitality, the Festive Market will feature six stalls offering a selection of food and beverage items, including roasted chestnuts and seasonal beverages. Traditional arts and crafts, holiday souvenirs and gift opportunities will also be available. At its centre, the Festive Market will feature a shimmering, beautifully decorated Christmas tree. Meanwhile, appearances from both Santa and resort mascot Habibi The Turtle will keep younger guests entertained. As a CSR initiative, a Christmas tree made using 2,800 individual plastic bottles highlight the resort’s commitment to eco-awareness will take pride of place as the centrepiece in Al Bandar’s lobby. The installation is an effort to draw attention to the volume of plastic water bottles consumed in the Sultanate of Oman and marks Shangri-La Barr Al Jissah Resort & Spa’s commitment to sustainability. Shangri-La Barr Al Jissah Resort & Spa is one of only five turtle nesting sites in all of Oman, the beaches of Shangri-La in Muscat welcome an average of 100 turtle nests each year. Protecting the natural habits of these critically endangered sea creatures and other marine life is a priority for the team at the resort and the inspiration behind the plastic bottle tree. Additional measures are planned for 2019 as the resort aims cease use of plastic water bottles in the outdoor areas with the installation of water fountains where guests can refill reusable water bottles. General Manager Juergen Doerr added: “At Shangri-La Barr Al Jissah Resort & Spa, we are doing our part to make a change and end use of plastic which is destroying the marine life. We have all seen upsetting videos of the earth’s oceans polluted with plastic which not only harm the turtles that we here at Shangri-La Muscat promise to protect, but which will eventually impact the food chain and our own health”. 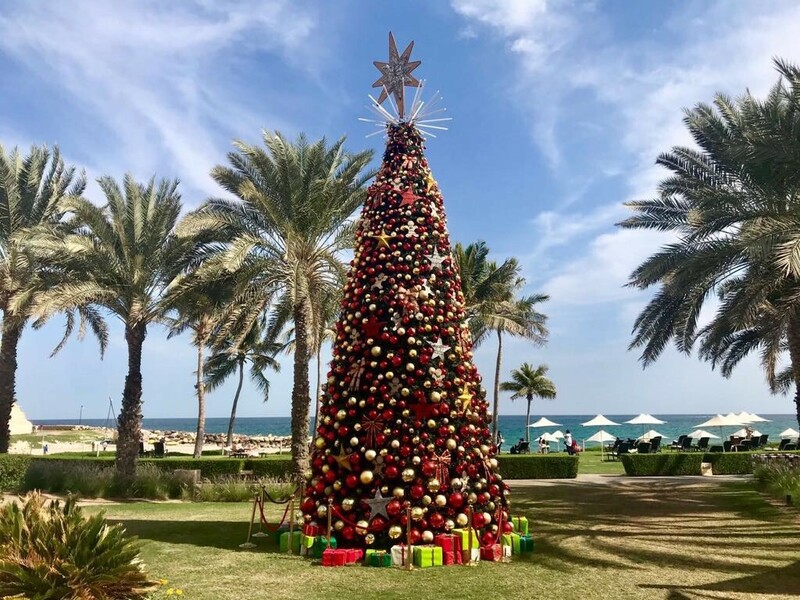 At 10 metres, the outdoor tree at Shangri-La Barr Al Jissah Resort & Spa is among the tallest in Oman and will be beautifully decorated with thousands of baubles, colourful lights measuring 700 metres in length and almost 100 pieces of gingerbread men, ribbons and stars. In addition to the Festive Market, Shangri-La Barr Al Jissah Resort & Spa and adjacent sister property Shangri-La Al Husn Resort & Spa, Muscat will offer a range of dining options throughout the festive season, including signature dining, sumptuous buffet and casual dining packages on Christmas Eve, Christmas Day, New Year’s Eve and New Year’s Day. There will also be a spectacular Fire-and-Ice-themed party at Turtle Beach to welcome 2019 in style. Hong Kong-based Shangri-La Hotels and Resorts currently operates over 100 hotels with a room inventory of over 41,000. Shangri-La hotels are five-star deluxe properties featuring extensive luxury facilities and services. Shangri-La hotels are located in Australia, Canada, mainland China, Fiji, France, Hong Kong, India, Indonesia, Japan, Malaysia, Maldives, Mauritius, Mongolia, Myanmar, Philippines, Qatar, Singapore, Sri Lanka, Sultanate of Oman, Taiwan, Thailand, Turkey, the United Arab Emirates and the United Kingdom. The group has a substantial development pipeline with upcoming projects in Australia, Bahrain, mainland China, Cambodia, Indonesia, Malaysia and Saudi Arabia. For more information, visit shangri-la.com. 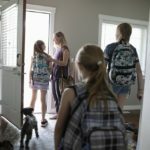 Previous article How To Keep Your Sanity While Managing A Busy Lifestyle? How To Keep Your Sanity While Managing A Busy Lifestyle?